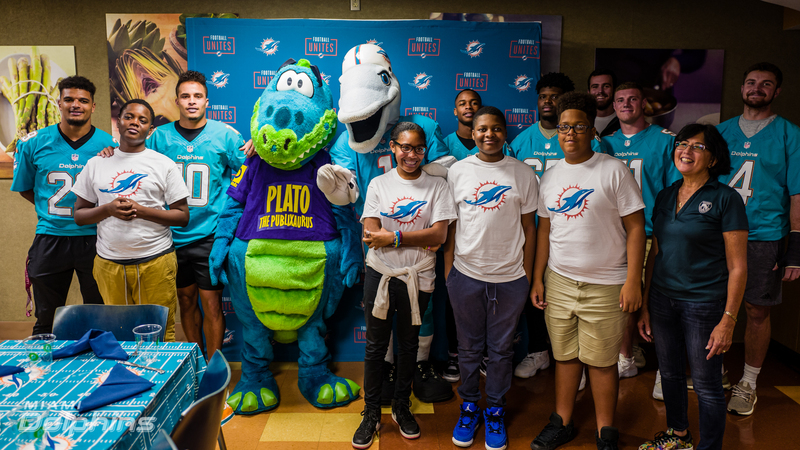 Plantation, FL – The Miami Dolphins hosted the Dolphins Kids Cook-Off presented by Publix in which Miami Dolphins players Cornell Armstrong, Jerome Baker, Jalen Davis, Luke Falk, Minkah Fitzpatrick, Connor Hilland, Jamiyus Pittman, Quentin Poling, Durham Smythe and Kenny Stills, along with T.D., Dolphins staff, police officers and 19 students teamed up to show off their cooking skills at the Publix Aprons Cooking School on Tuesday, Nov. 13. The group gathered at the Publix Aprons Cooking School to take photos and received aprons as they were divided into two groups to receive an up close and personal cooking lesson. 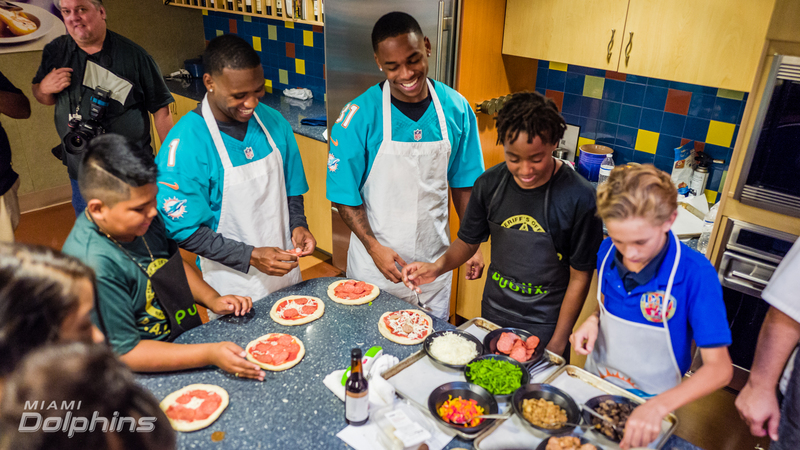 Following the instructions of Chef Rey and his team, the students and players got their hands dirty as they worked together to prepare and then enjoy pizza, Caesar salad and cupcakes all made from scratch. Additionally, each student received a $100 Publix gift card to help with groceries for the upcoming holiday seasons. Students from the Miami Dolphin’s Football Unites programs of Miramar PAL, North Miami PAL, North Miami Beach PAL, BSO PAL and Miami Gardens Explorers were selected to participate in this event. Police Officers from each of the corresponding areas also attended to show their support and interact with the youth and players.